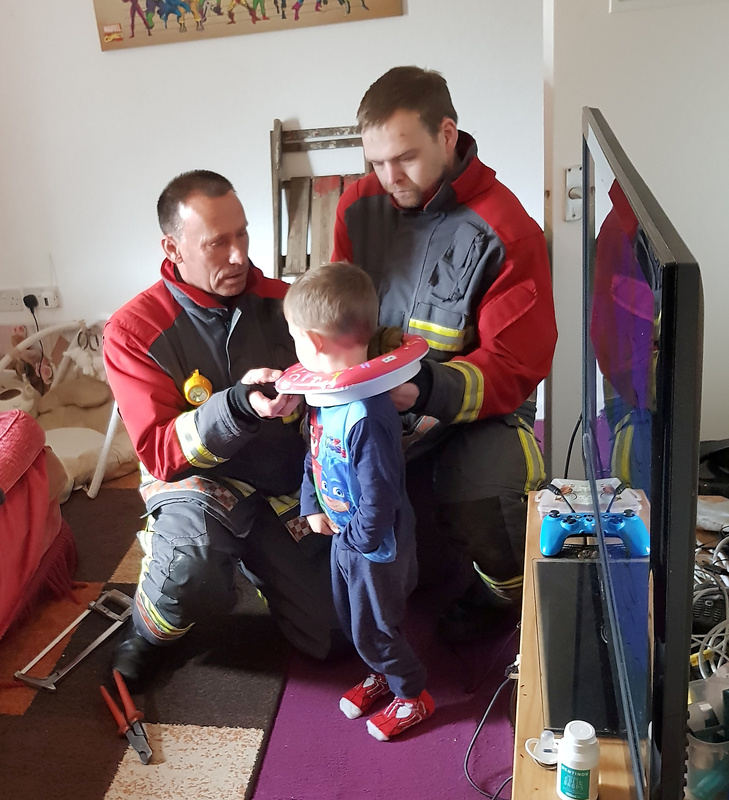 A young boy had to be rescued by firefighters – after he got a toilet seat stuck around his head. Somehow little Leyton Bedford-Rankin, three, got the red plastic seat lodged firmly below his ears. His mum, Bryony-Marie, from Mullion, Cornwall, tried everything to get it off but the seat wouldn’t budge. In the end she had to call the fire brigade who were able to free Leyton and said they hoped Leyton would have ‘less of a pooey day’. 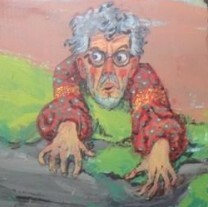 Leyton Bedford pictured after getting a toilet seat stuck on his head. 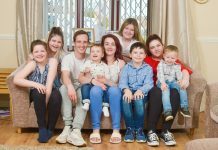 Full-time mum Bryony-Marie, 22, was breastfeeding her eight-week-old baby when Leyton came in with the practice toilet seat around his neck. 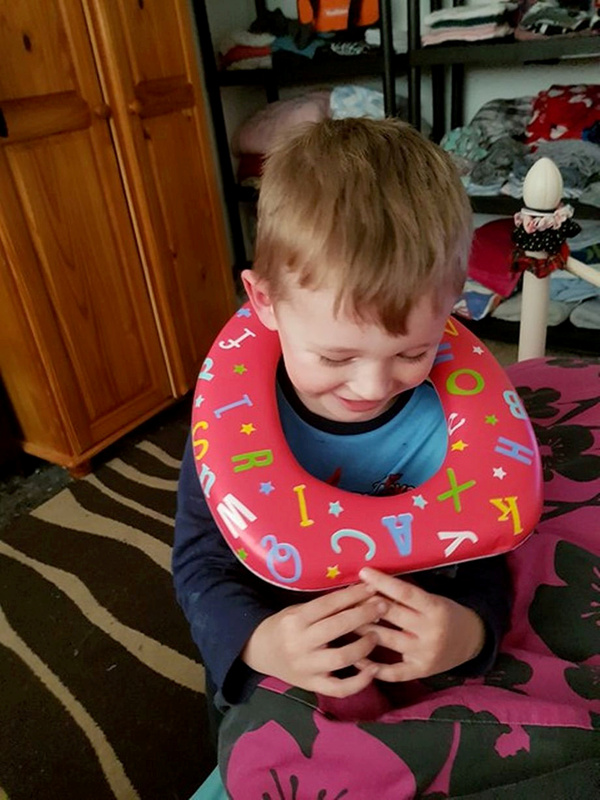 She said: “Leyton came out of his room with his toilet training seat around his neck, saying ‘Look at me, mum'”. The situation made the pair laugh, before they decided to take the seat off only to realise the youngster had in fact become stuck. “I tried for five minutes to get it off,” she said, “and I could only get it past his ears and no further. “I tried putting butter on the seat to try and get it off but it wasn’t working. Despite trying none of the tricks worked, and Bryony-Marie decided to get some advice. 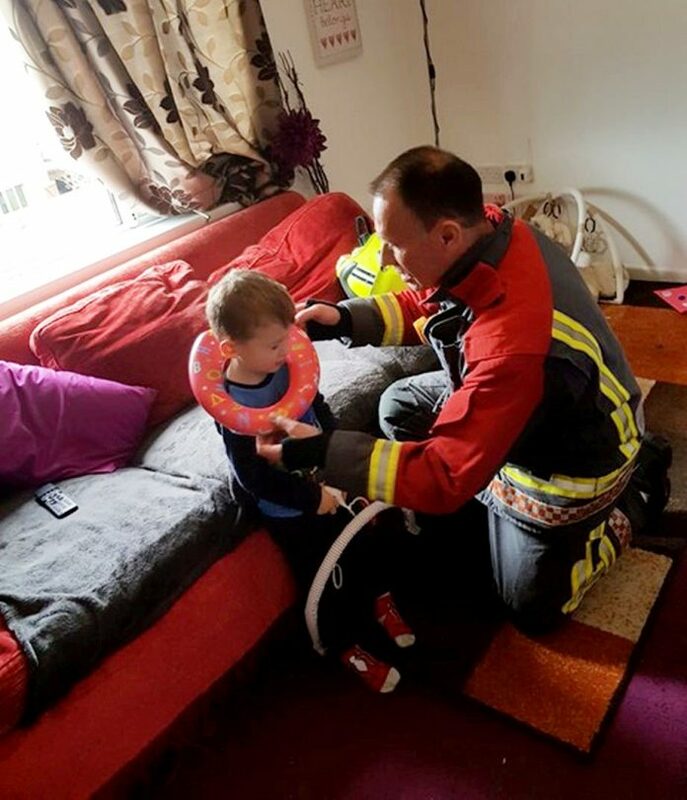 Leyton Bedford is helped by firefighters after getting a toilet seat stuck on his head. 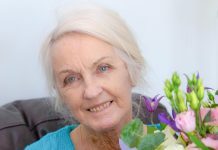 She said: “I rang my mum and she had no ideas other than what I already tried so I rang my dad to see if he could help as he is a firefighter in Newquay. “He said best thing is to ring the fire brigade as they will have the tools to help. “They then sent the firefighters round really quickly and they were amazing with Leyton and explained what they were going to do. “I couldn’t stop laughing when I rang them. When they turned up, Leyton said ‘I need help, I can’t go to the toilet as my seat is around my head’. 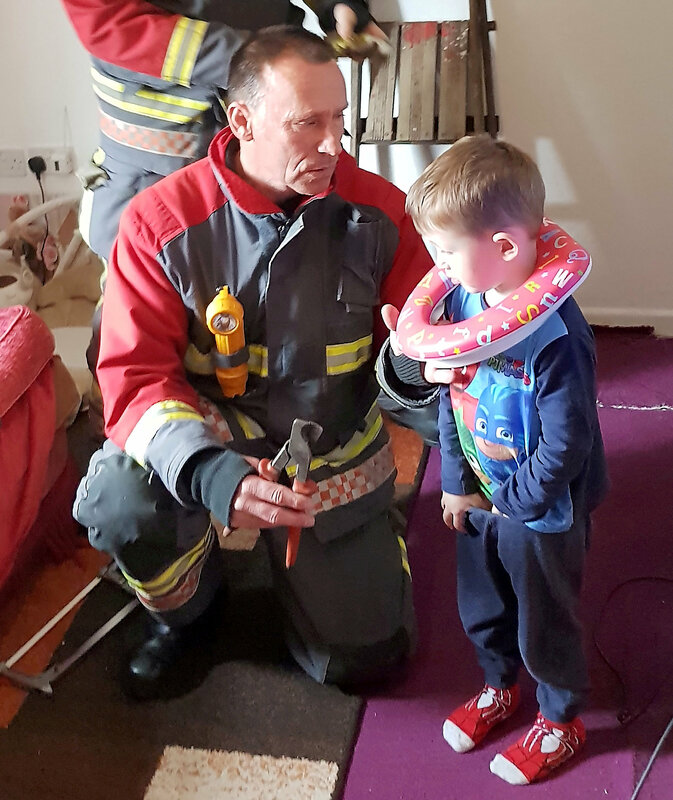 “I can’t thank Mullion fire team enough for coming to the rescue and putting Leyton at ease as he has Aspergers like myself and gets uneasy around new people. 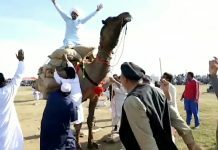 “They had him free within 10 minutes. “He is completely fine and found the whole thing hilarious.